We just returned from a trip with some friends to view the leaves turning in the Great Smoky Mountains and Northern Arkansas. Lesson learned: September 27 – October 2 is way too early in the year to see the leaves turn in either location. However, it was the only dates we were all free to go and if we had waited we would have been locked out of Great Smoky Mountains National Park because of the Federal Government shutdown. We visited the park the day before the shutdown forced the park to close. Monell’s in Memphis is a great place for fast food “Southern Style”. I recommend the catfish. Corky’s Ribs & BBQ in Memphis is always finger licking good! Great Smoky Mountains National Park is free. I was actually disappointed because I did not get to use my National Park Pass. Any Senior can buy the pass for $10 and it is good for the rest of your life. One of the great bargains of our time! However, don’t go until the government sets out the Open for Business sign again. 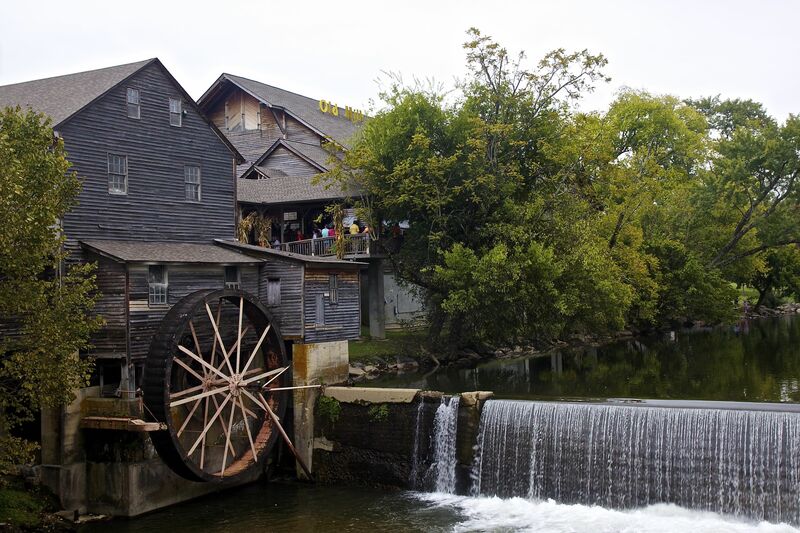 Old Mill Restaurant in Pigeon Forge. They are open breakfast, lunch, and dinner. We went for lunch and every meal is the same price – $10. Assume breakfast and dinner are similar. Mountain View Arkansas is a quaint little down in the Ozark Mountains of Northern Arkansas. Mountain View bills itself as the Folk Music Capital of the World. The town square is surrounded by quaint shops and there appears to be live music of the folk persuasion somewhere almost every night. Woods Pharmacy and Old-Fashioned Fountain is a great place for a root beer float, banana split, or a phosphate. I40 in Arkansas (triple negative highlight): Don’t ever travel between Little Rock and Memphis on I40. Every time I use that route I swear to never use it again. There is always road construction with long, long, long backups. You are currently browsing the Number 6's Blog blog archives for October, 2013.